Apple discontinues production of the Macintosh XL, effectively ending the life of the Apple Lisa computer platform. In January of 1985, the Macintosh line of computers was gaining momentum but the Lisa line of computers was not selling well. 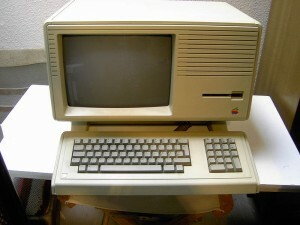 In order to salvage what they could from the Lisa and offer a more powerful Macintosh computer, Apple created the Macintosh XL model by modifying a Lisa 2/10 computer to run the Macintosh operating system. Apple discontinued the Lisa in April of 1985, but continued production of the hybrid Lisa/Mac Macintosh XL until this date.